The State of North Carolina is suing a pharmaceutical manufacturer for allegedly bribing doctors and defrauding insurers in order to sell more of its powerful fentanyl spray, fanning the flames of the opioid crisis that has millions addicted and is shortening lifespans. Last Thursday, Reuters reported, North Carolina Attorney General Josh Stein filed a lawsuit against drug manufacturer Insys Therapeutics, Inc.. The state’s complaint alleges the company knowingly and repeatedly violated the state’s Unfair and Deceptive Trade Practices act in how it marketed and sold its product, Subsys, for years. Subsys, a spray that’s applied under the tongue, was first approved by the Food and Drug Administration in 2012. But because of how addictive and dangerous it could be, even compared to other fentanyl medications, it was meant only as a treatment for terminal cancer patients whose chronic pain couldn’t be alleviated completely by other painkillers. The complaint, echoing many of the allegations made about Insys’ actions elsewhere, is filled to the brim with details about how Insys managed to circumvent these restrictions. For one, the company allegedly instructed its sales representatives to find and bribe doctors who could peddle the drug to their patients without cancer, through illegal kickbacks that were informally provided via the speakers’ program that it had set up. Not only were successful doctors were paid to speak and sing the praises of Subsys at events marketed to non-cancer specialists; but sometimes they even seemingly spoke to empty rooms: The complaint cites event sign-up sheets that were left unfilled or only featured the signatures of the speaker and their friends and family. The speaker fees were used both to reward doctors who pushed Subsys, but also punish those who didn’t hit their sales mark. Right around that same time, to combat the over-prescription and abuse of opioids, insurance companies had started to set up a “prior authorization” program that would double check with a doctor’s office whether a prescribed drug was being approved for the appropriate condition before it would cover it. So to get around this hurdle, Insys allegedly set up a program that allowed them to act as a go-between to insurers. Employees on the phone then either pretended they were directly working for the doctor, pretended the prescription was indeed being given for cancer pain, or flat out falsified a patient’s medical history to include a cancer diagnosis. All of these schemes were given a thumbs-up by Insys executives, the complaint alleges. The lawsuit is the only latest legal trouble to hit the company. 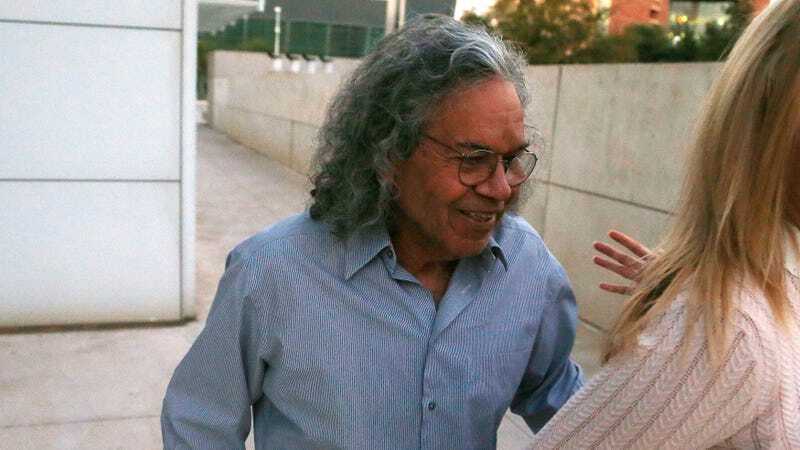 Along with other similar lawsuits filed by state attorney generals in Arizona, New Jersey and New Mexico, several of Insys’ now former executives (including its billionaire founder, John Kapoor) were charged in federal court last year with racketeering, and the company is undergoing an congressional investigation. Responding to a lawsuit filed against it by New Jersey in October, the company said in a statement that it was continuing to work with authorities to “resolve issues related to inappropriate actions taken by some of our former employees.” And that it had taken proactive actions to prevent past mistakes. The company also complained it was being unfairly picked on, since much of the management has changed in recent years and the market share of Subsys is only a small fraction of the total amount of opioids prescribed in the country (0.02 percent in 2016, according to the company). The company did not immediately respond to a request for comment regarding the North Carolina lawsuit.